This electric fork lift has 48V battery. 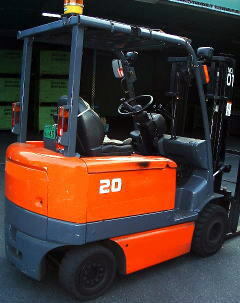 Many factories and warehouses use this type. The average price of the 48V battery is 5500 to 6500 U.S. dollars.